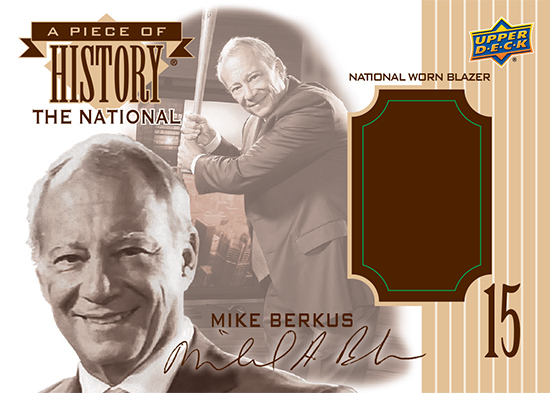 Anyone who had anything to do with the National Sports Collectors Convention knows the name Mike Berkus. He was the founder of this annual event designed to bring sports fans closer to the game who unfortunately passed away in late 2015. 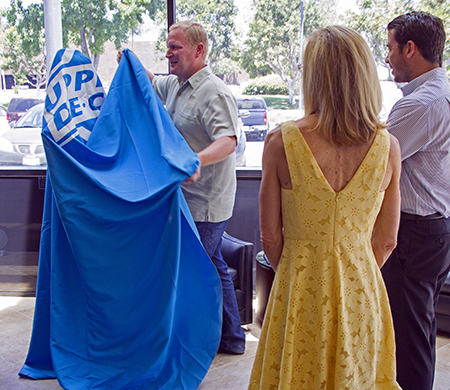 Upper Deck staff we very saddened by his passing and worked with his family to create a fitting tribute for Berkus. Mike was always known for being sharply dressed during the National and was easily recognizable by the blazers he wore. 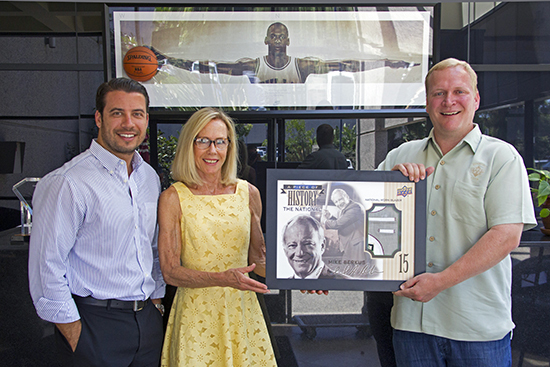 The Berkus family donated two blazers that Mike wore at the National in previous years and Upper Deck set off to work to make a special tribute card in his honor. 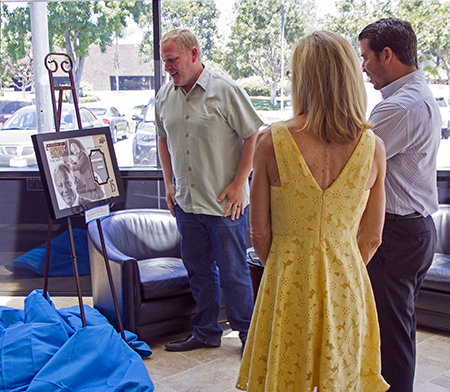 Recently we were very excited to be able present a framed version of the card to his son Dan and wife Sher. The card features one of Upper Deck’s most timeless designs from the Piece of History Baseball insert set. Here is a look at the front and back design. 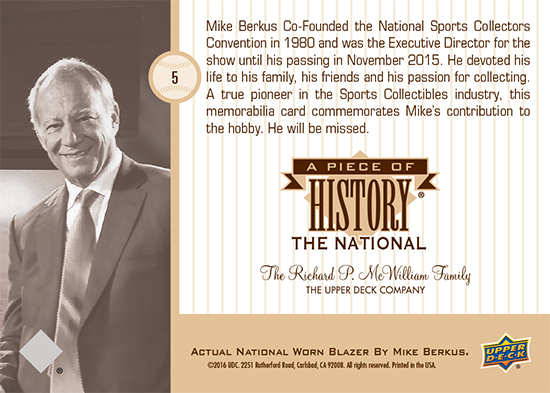 The Berkus Family will be using many of these cards with their family and friends who knew Mike best, but they will also be distributed in limited quantities to partners at the 2016 National Sports Collectors Convention in Atlantic City this summer.